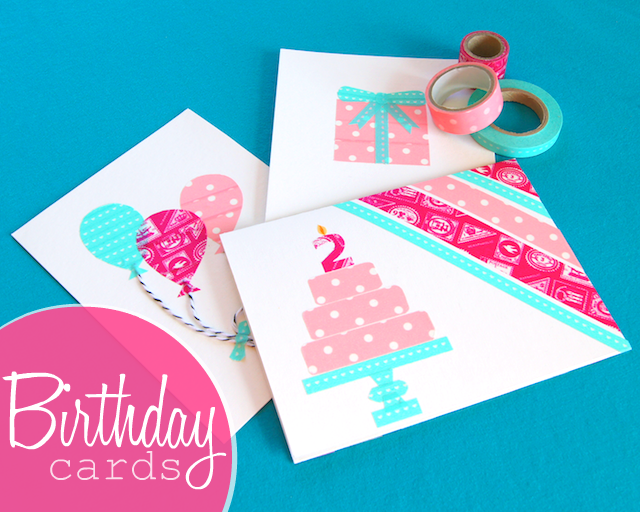 One of the sweetest ways to use washi tape is to craft up your own birthday cards (or cards for any occasion.) 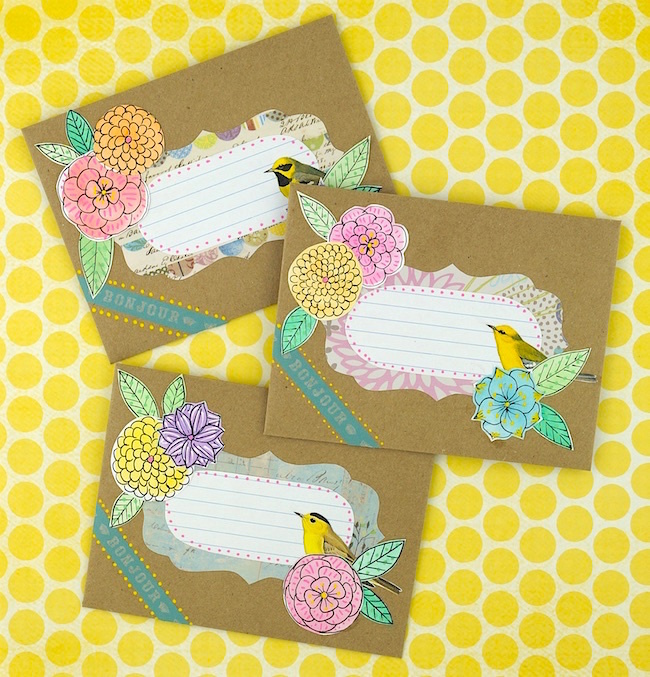 Simply grab a few designs of washi tape, some card stock and a pair of scissors, then stick to your heart's content. 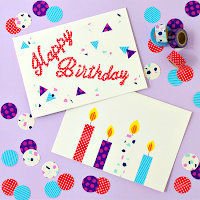 We looked at a few birthday card designs last year, and here are some more to inspire you to get birthday crafty with your washi tape collection. Use clean, sharp scissors - especially when cutting small shapes - any guck (technical term) on the blades will transfer to your tape and dull blades generally result in jagged edges. Not sure where to start? 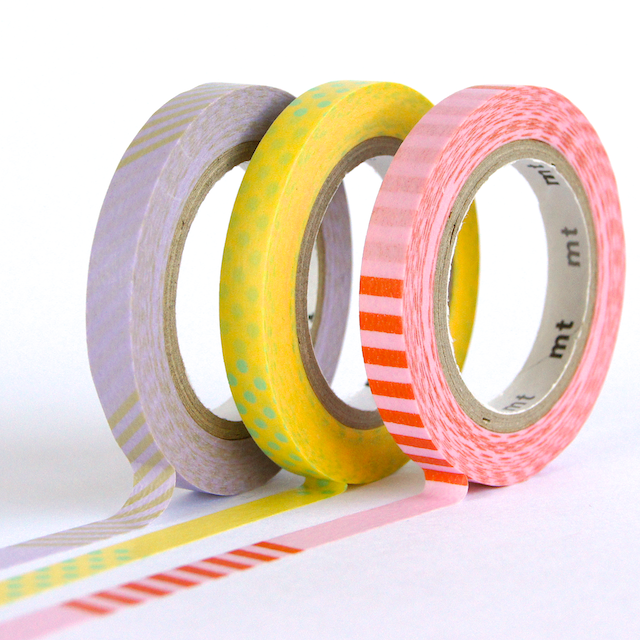 Washi tape makes awesome layer cakes, candles and stripes - and these are pretty simple to create! Simple designs, like candles, stripes or layer cakes, usually can be created freehand - no paper backing required. 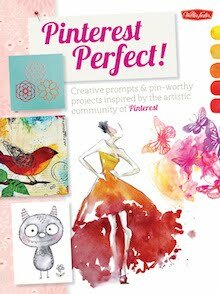 When creating a complicated washi shape or design, lay your tape strips onto a piece of paper and then cut out the desired shape. Way less tape-stuck-to-your-fingers frustration! 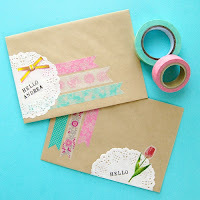 While washi tape strips peel easily off most papers, when it comes to removing small or intricate shapes things can get a little sticky tricky. 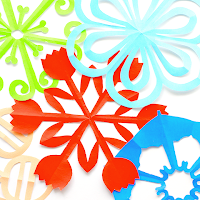 Try using parchment paper or waxed paper when cutting washi tape shapes - the slick surface makes peeling tape off much easier. 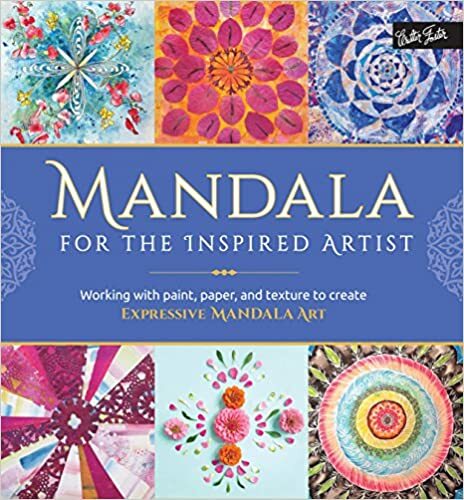 Want to create a specific image, shape or letter? Draw or print out the image you want to make and then lay your tape strips over it. 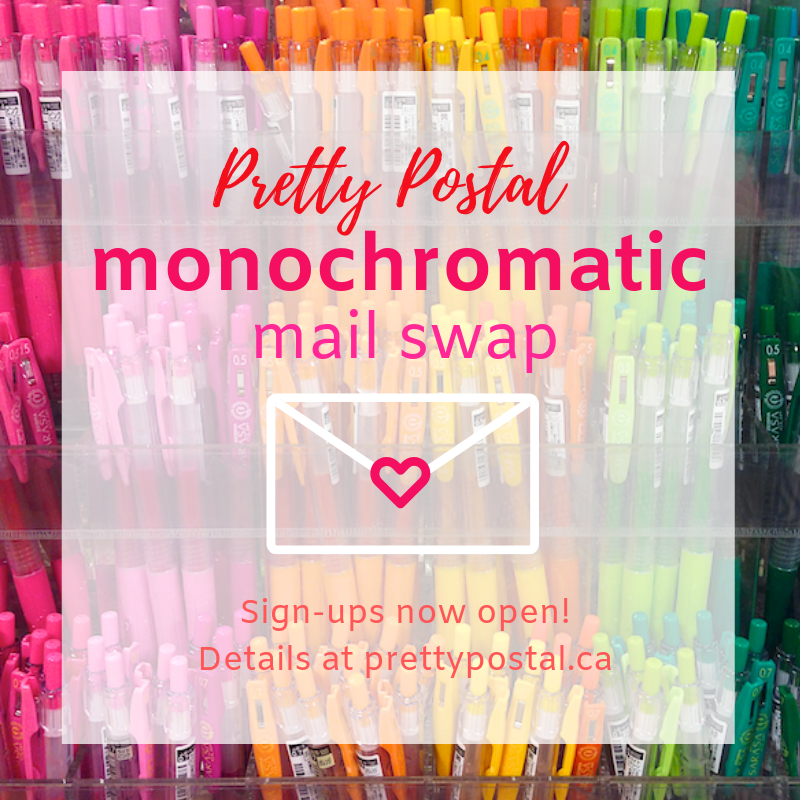 But, remember, washi tape can lift ink off the page, so you'll want to cut on the inside of the printed lines to prevent ink lines being visible on your tape. Or draw/print on one side and tape on the other - this is especially easy with parchment paper which is translucent. When creating an image out of multiple strips of tape, make sure to overlap each strip slightly. Then, when you carefully peel the tape off of your backing paper, start with the bottom-most strip. This should ensure that your washi tape shape peels off in one piece (and prevents you from having to painstakingly line up edges and reassemble on your card). 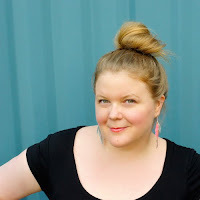 For a fun look, try including other materials. This may mean simply outlining your design with a thin marker, adding some twine to your design like the balloon card in the image above, or even layering different materials. The real fun is in the process! 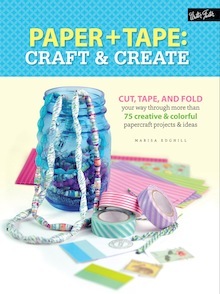 Do you have any tried and true tips for crafting with washi tape? We'd love to hear them in the comments! 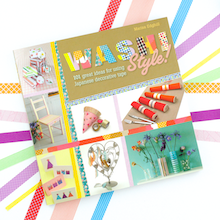 If you do craft up some washi tape cards, we'd love to see them. Post pictures to our Facebook page, tweet us about it or even leave links in the comment section below! I love the cake one. Way cute. I actually did something kind of like that with felt. Now time to try some with my washi tape! Thanks! I love washi tape for layer cakes - super cute & super easy! Very cute! I love the balloons!